Succeeding in today’s globally competitive environment requires the ability to manage and influence change for optimal growth. While strategies and ideas may look good on paper, effectively implementing them in your specific business scenario is the key to this success. 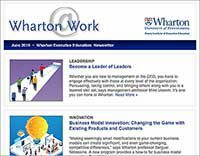 Custom strategy and innovation programs at Wharton Executive Education provide your team with the precise strategies, tactics, and tools that will improve decision making and accelerate strategy implementation throughout your organization. Your executives will gain valuable insight into new opportunities, while mastering the strategic thinking and execution skills necessary to put your company in the lead. 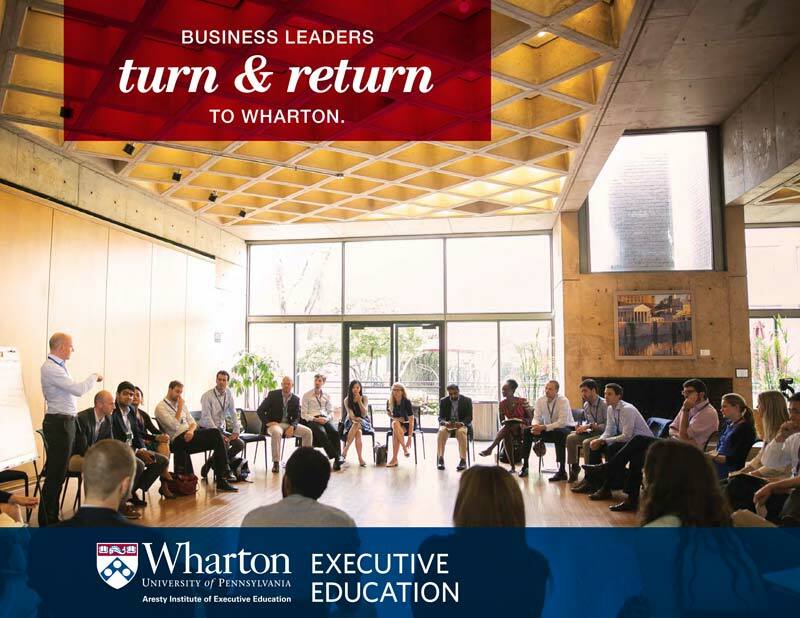 The distinguished faculty and program directors at Wharton bring a deep knowledge built on proven success in a myriad of industries. Our collaborative approach will drive results because of our dedication to your individual business objectives and in-depth understanding of the markets you serve. The challenges your organization faces are unique — your solutions should be, too. By customizing our programs to your business scenario, Wharton provides your team with the technology, insight, and implementation skills to bring your company to the forefront. In addition to providing you with a competitive advantage, your Wharton partners will become the trusted advisors you turn to year after year. 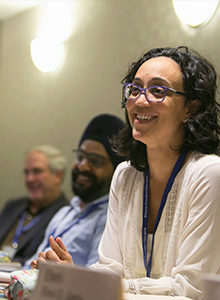 To elevate finance leaders’ business acumen, strategic thinking, and communications skills, we offer a comprehensive five-day program called The CFO: Becoming a Strategic Partner.